Expectations are especially high at the ninth edition of Abu Dhabi Art, which opened earlier this week (until 11 November) at the Manarat Al Saadiyat art centre in the capital of the United Arab Emirates. The Modern and contemporary art fair coincides with the long-awaited launch of the nearby Louvre Abu Dhabi on Saadiyat Island, which has given the prominent regional fair a new lease of life. The collector Ramin Salsali, who runs a private contemporary art museum in Dubai, told The Art Newspaper: “I’m impressed by the quality of the works at the fair; the Louvre has raised the bar for everyone in the region.” Another major regional collector, Basel Dalloul of Beirut, said he was “overwhelmed” by the works on offer. “It’s an outstanding source for works by Arab artists,” he says. Under its new director, Dyala Nusseibeh, Abu Dhabi Art has improved; the 48 participating galleries include 13 new exhibitors and heavyweight dealers Marian Goodman gallery and Sprüth Magers. The London-based galleries are supporting their artists—respectively Giuseppe Penone and Jenny Holzer—who are showing site-specific pieces at the Louvre Abu Dhabi. The new fair format also encompasses an impressive curated section—entitled Beyond Territory—organised by Omar Kholeif, a senior curator at the Museum of Contemporary Art in Chicago. 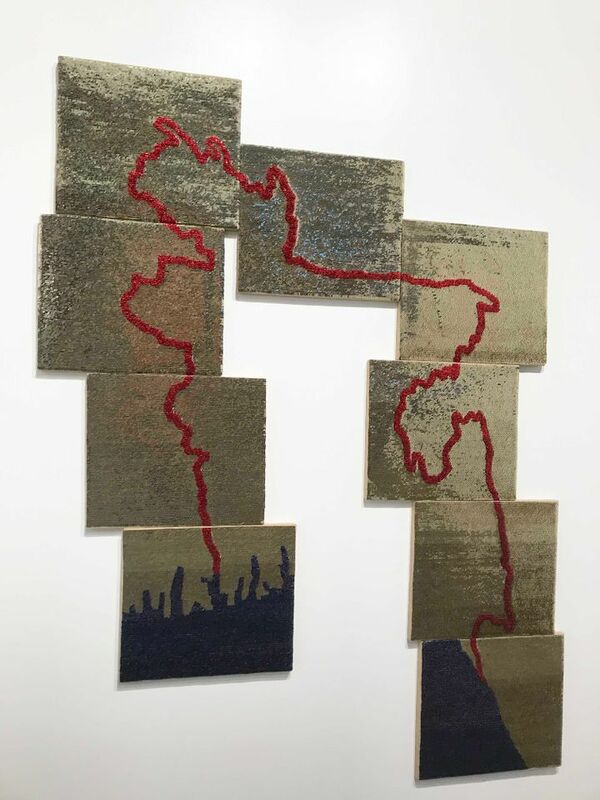 It includes the Mumbai-based dealer Jhaveri Contemporary, a fair newcomer who is selling Bloodlines, a 1997 two-part piece comprised of sequins and thread on cloth co-created by the Mumbai artist Nalini Malani and Karachi-based Iftikhar Dadi (priced at $60,000; currently unsold). But playing a waiting game is still paramount at the fair, dealers say, in terms of building relationships with key collectors. “People here take longer to buy; it’s their style,” said Lorenzo Fiaschi, the founder of San Gimignano-based Galleria Continua, who has participated in every edition since the second fair. “You have to build bridges; it is not always a question of following the market but building a market,” said Fiaschi, who is selling works by the young Cuban artist José Yaque including Azufre VI (2015), priced at €25,000; a totem pole of porcelain vases by the Cameroon-born artist Pascale Marthine Tayou (Colonne Pascale, 2011; €180,000); and a mirrored piece by Michelangelo Pistoletto, Colour and Light (2017) for €1.2m—an elevated price in a fair with generally lower price points. “This is a relationship fair, the local collectors have grown up with Abu Dhabi Art. Emerging collectors are really important here,” said Xenia Geroulanos, a director at Galerie Thaddaeus Ropac which has attended every edition. 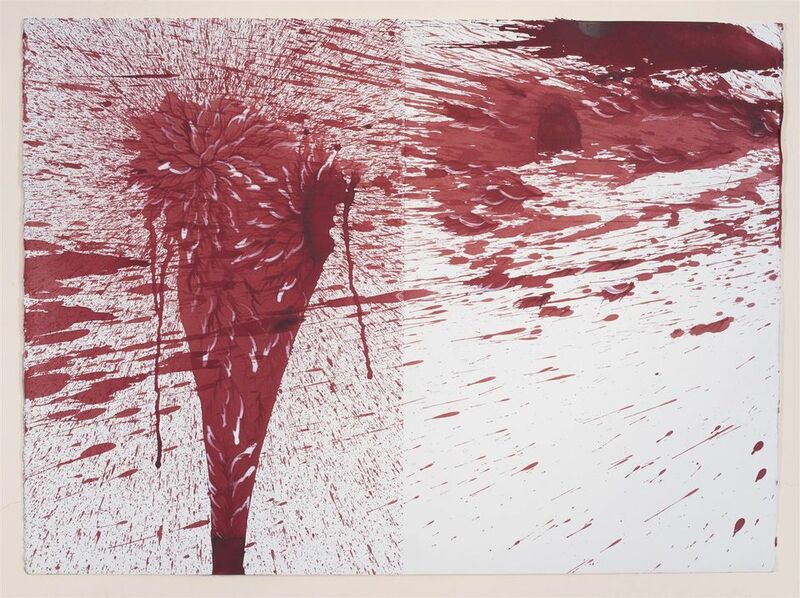 By the end of the opening day (8 November), the Paris- and London-based gallery had sold works by Farhad Moshiri (First Snow 011C, 2017; $200,000) and Imran Qureshi (Survived, 2017; $14,000). But a local dealer, who preferred to remain anonymous, said that the heralded wave of international collectors had so far failed to materialise. “The governmental marketing could have been better,” he added. Some dealers reported fairly brisk business, such as the French gallery Ceysson and Bénétière who sold Circle (2011) by Mounir Fatmi, priced at €30,000, and Claude Viallat’s 2001/017 (2001; €14,000). Both pieces were bought by French collectors based in the UAE. The Jeddah-based Hafez gallery had sold 35 editions of a prescient work, Amal (2017) by the Saudi artist Khalid Zahid. 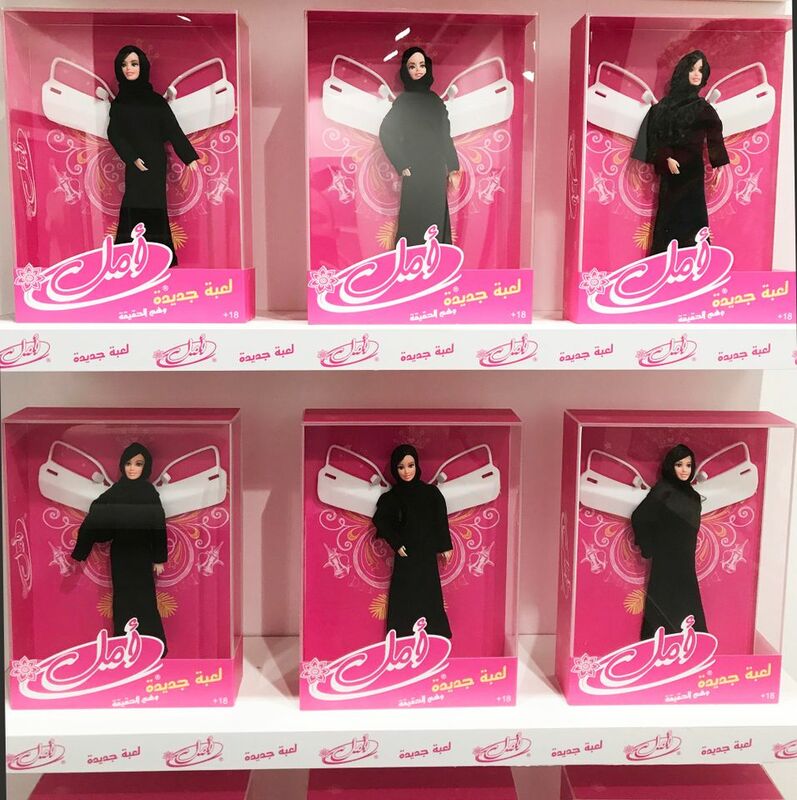 The work, a doll depicting a Middle Eastern woman with car doors as wings, is priced at 1,500AED ($408/edition of 50).